Before they passed away, both my grandfather and father had dementia. Although its onset probably came much sooner than our family recognized, my dad's decline seemed so very swift. It was heart-wrenching to travel to the nursing home in Missouri to visit him and realize that he didn't know me anymore. He seemed agitated as his hands fidgeted. If only I had known about fidget quilts at that time, I would have loved to create one to help soothe him. These quilts help patients feel more relaxed, thereby improving well-being. The different textures and shapes engage and stimulate the brain. Unfortunately, it is too late to help soothe him but I am determined to help others with dementia. 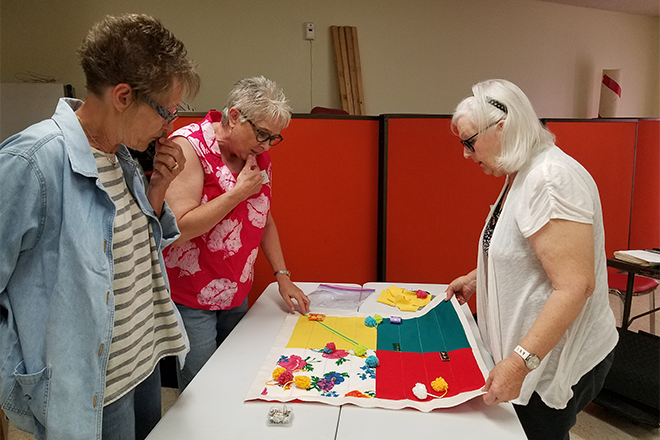 To act upon that determination, I hosted a basic quilting workshop Saturday, June 2, where participants constructed fidget lap quilts designed for patients with dementia and/or Alzheimer's. Community members, Pebble Pearl and Linda Fenter volunteered their time, expertise and great personalities to lead the workshop and coach participants in basic quilting techniques. For those of us who love to sew, this is such an enjoyable and quick project. Each participant's creativity was evident in her personal touches that created a unique product. Those participants who do not personally know a dementia or Alzheimer's patient will participate in the donation of several fidget quilts to a local nursing home this fall. In preparation for the workshop, I researched ideas and tips for creating fidget quilts. I found an excellent tutorial with tips from the Central Virginia Modern Quilt Guild website at https://cvamodernquiltguild.com/2017/03/09/fidget-quilt-tutorial/. Safety is of utmost importance. Additionally, it is important to make sure the quilt actually soothes the patient, rather than agitating him or her. Rough, sharp or scratchy items should be avoided as well as activities requiring fine motor skills. Bright colors are fine but high contrast fabrics should be avoided. The quilts, including fidget elements, should be washable. All items need to be securely attached to the quilt. In addition, a strap should be included so it can be secured to a chair or bedrail and not fall on the floor. A full list of things to avoid and things to include is available in the website above. In addition to research concerning the fidget quilts, I researched more about dementia and Alzheimer's through the Alzheimer's Association at https://www.alz.org/.I learned that "dementia is not a specific disease. 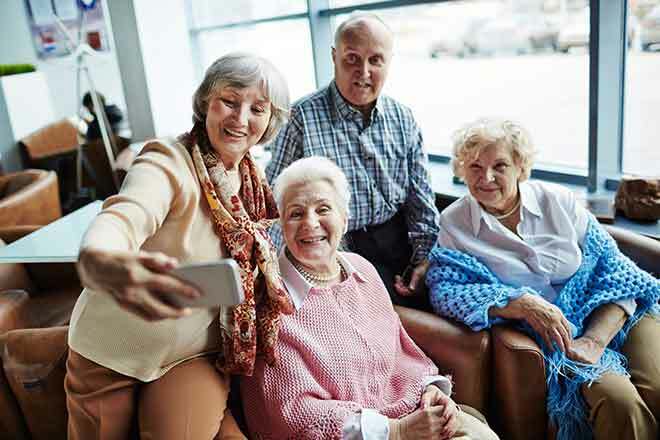 It is an overall term that describes a group of symptoms associated with a decline in memory or other thinking skills severe enough to reduce a person's ability to perform everyday activities." The cause of dementia is damage to brain cells. To put it simply, there are different regions of the brain. Which region experiences cell damage determines the type of dementia. Most types of dementia are progressive (get worse over time) and permanent. However, there are a few conditions which may improve with treatment if they have been caused by depression, thyroid problems, medication side effects, vitamin deficiencies or excessive use of alcohol. 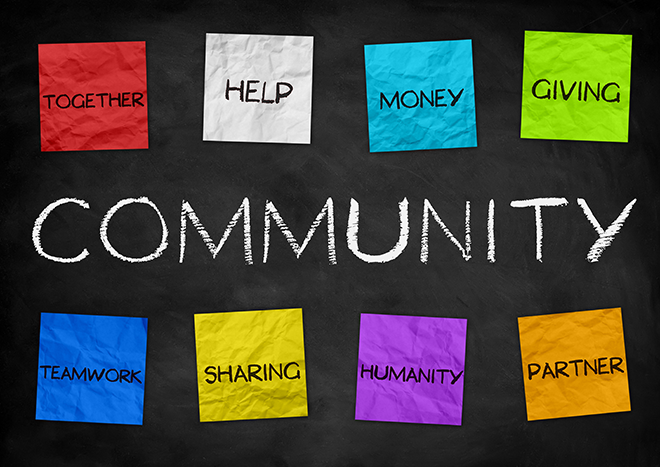 Alzheimer's is the most common type of dementia, accounting for 60 to 80 percent of cases. The second most common form is vascular dementia which occurs after a stroke. It was eye-opening to discover in my research that between the years 2000 and 2015 deaths from Alzheimer's disease increased 123%. In comparison, during that same time period, deaths from heart disease decreased by 11%. In addition, Alzheimer's causes more deaths than breast cancer and prostate cancer combined. Women comprise two-thirds of Americans with Alzheimer's. "Hispanics are about one and one-half times as likely to have Alzheimer's or other dementias as older whites." And "older African-Americans are about twice as likely to have Alzheimer's or other dementias as older whites." Sadly, the Alzheimer's Organization makes the somber statement that "Alzheimer's disease is the only top 10 cause of death in the United States that cannot be prevented, cured or even slowed." Given my father's and grandfather's dementia, I must admit some concern about the potential for it to affect me or my siblings. I would encourage anyone else with concerns to visit the Alzheimer's Association website and view the 10 Early Signs and Symptoms of Alzheimer's at https://alz.org/10-signs-symptoms-alzheimers-dementia.asp. Caregivers for dementia and Alzheimer's patients may find help by visiting https://www.alz.org/care/.Also, those with questions or concerns should view the listing of Alzheimer's Myths at https://alz.org/alzheimers_disease_myths_about_alzheimers.asp. My wish for everyone is continued health and well-being. But, if we must deal with dementia or Alzheimer's in our lives, I wish that we learn to deal with the patient in kind and understanding ways, and appreciate the hard job--and value the efforts--of caregivers.